I was watching the weather before we left and kinda figured the better fishing would have been during the week (ie; not the weekend). Get there late Friday and I asked Nikko how the fishing was the last couple days and he says "really, really good" I knew it.. this was gonna be a grind. Fridays first fish was a hammer handle. 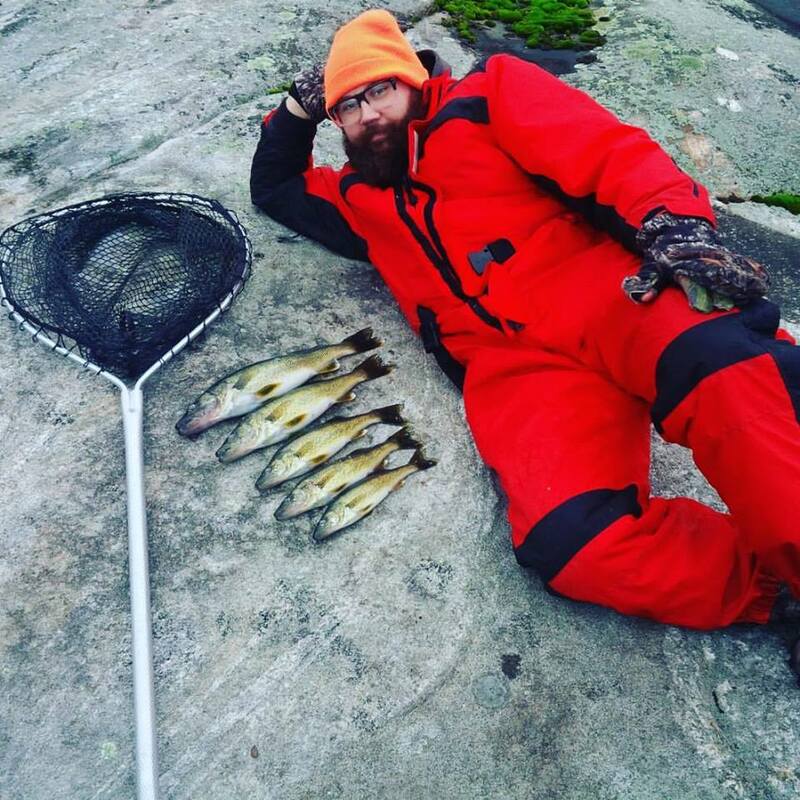 We put a few nice perch on the ice, caught a couple after dusk even.. but never saw a walleye. Lots of fish on the flashers just checking things out. About one in 15 would take. 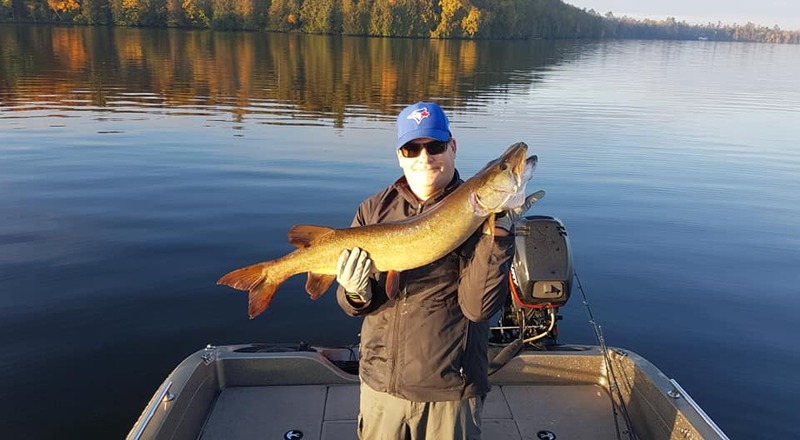 We tried jigging minnow baits, glow shots.. jigging would actually push fish away, not draw them in so we took our chances dead sticking a live minnow on a jig. It was the only thing that produced. Sat morning the first hit woke us up around 7. Got up to clear the holes, put on coffee.. go out for a morning smoke and our neighbours are up so I go and say hi. They have about 25 fish to our 5 (wtf?).. perch and walleye. No legal 'eyes. Saturday was slllooooowww.... we caught a perch and a cisco in the morning and then it was basically dead the rest of the day. My buddies go say hi to the neighbours around noon (who are now fishing outside) and they are now up to 40 fish (double wtf!!?). We never get outfished.. we are used to being "that hut" or "those guys". The one group the operator points to when guys get discouraged. What makes it worse is they don't have a secret lure even.. they are doing pretty good fishing EXACTLY HOW WE ARE FISHING!! Buddies come back and say they are fishing outside the hut. They fish outside the hut and watch the neighbours catch fish. Tactics and strategy get discussed and the best idea we have is to taint their bbq with salmonella so they get sick, go home and we can go fish their holes but eventually even their luck dries up and everyone retreats inside. Saturday at witching hour we have reached the stage of acceptance. It is what it is. 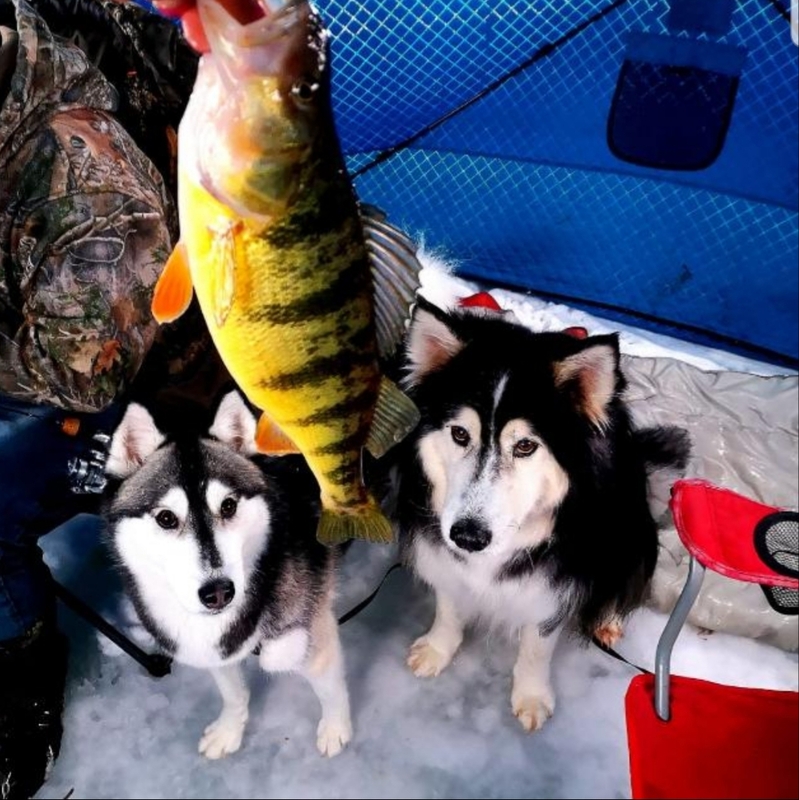 We ice a couple more perch (one monster) and although we do not know why, we decide it's just not in our cards this year. Still no walleye. I am outside having a smoke when Nick stops by and I tell him this. He looks at me like I have six heads in disbelief and all I can do is make a face and shrug my shoulders (we are in one of the better huts apparently). But we battle on. Drinks get poured and steaks go on the grill. Around 6 I get a fish.. this feels good. Get it to the hole and out and the first walleye of the weekend comes up LEGAL! What are the odds... we pulled up another 'eye around 7 and a 3rd the next morning. We left earlier Sun. We are still wondering why when we are leaving and Nikko pulls up to the neighbouring hut. On the ice is a 37" northern. Caught that morning. Probably the reason we were so slow while our neighbours had luck the previous day? Only explanation I have. Very compelling report! You never know when a keeper eye is going to appear. 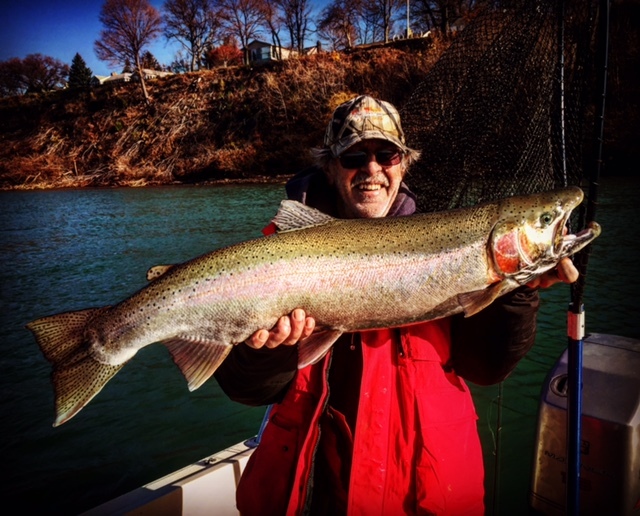 Learned a long time ago that the fishing is what it is and we can easily accept that because just getting away at this time of year with good friends for some good times is really what is important to us. 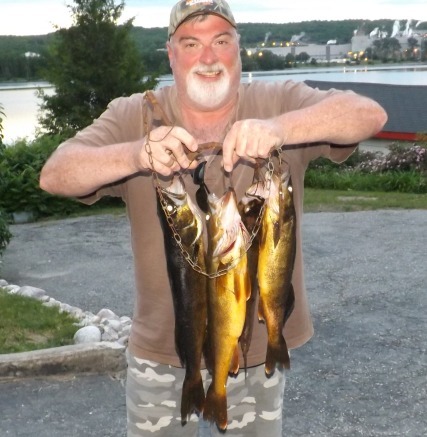 Catching fish is a big bonus and to be able to have a fish fry one night really caps off the weekend but regardless how the fishing is this is one trip I don't want to give up.